The ultimate patient experience starts with modern conveniences. Get all the information you need below. Ditch the paperwork and fill out your New Patient forms right on your computer. Simply click the button below and fill them out before your appointment. You can also download our Privacy Practices policy for your benefit. We accept any benefit plan that will accept US. We will file claims with your plan provider as a courtesy. Our team is experts at helping you navigate through the complicated world of dental benefits. Submit your benefit information online to us 2 business days before your first visit and we can be sure to have information regarding your plan when you meet us! Quality time with our team from start to finish. We handle first appointments depending on your dental needs. 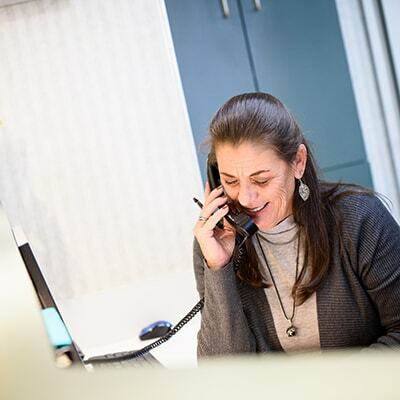 When you call our office, Kim will answer the phone and ask you what you're looking for in a Schaumburg dentist and have you decide one of two options for your first appointment. Do you have extensive issues? If you're experiencing difficult dental problems, we'll dedicate your first appointment solely to Dr. Turnwald where he'll conduct a thorough, comprehensive exam and discuss what he sees with your smile. Do you just need a checkup? We always make time for healthy new patients! If you keep up with your dental hygiene and have a healthy mouth, we'll schedule your first visit with Dr. Turnwald and one of our hygienists. From there, we'll conduct a healthy patient exam, provide a visual tour of your smile, and do a cleaning in one visit. No matter your needs, our goal is to get you healthy on your terms. Please don't be afraid to ask us any questions, concerns, or issues you may be having and we'll address it. I wanted to thank Dr. Turnwald for returning my ability to eat food without any discomfort, which is very important for me, and the ability to smile wide once again. I will recommend Dr. Turnwald as an experienced DDS to all of my friends and family. Check out our FAQs below or feel free to call our office! Yes, we do. However, we’re an out-of-network office, meaning we are not contractually obligated to any insurance company. We only work for YOU. This allows us to spend as much time as possible to ensure you’re receiving the high-quality dental care you deserve. We will file claims on your behalf and will do what it takes to make your visit easy and stress-free. We invite you to download our Dental Benefits sheet to show you how we can guide you through the dental insurance world. Yes, you can! Make a payment on our secure network HERE. Generally, yes. If you’re in need of a cleaning and are not experiencing extensive dental issues, we can absolutely set up a cleaning for your first appointment. 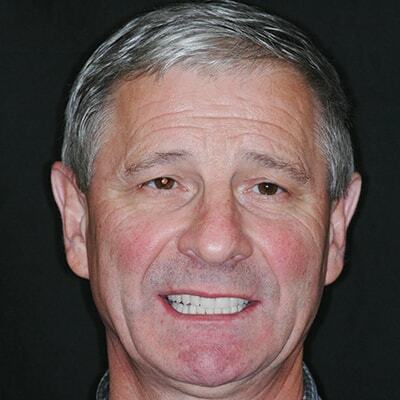 If you’re experiencing significant dental issues, we’ll suggest spending your first appointment solely with Dr. Turnwald where he’ll visually show you what’s going on with your smile and have you decide how you’d like to proceed with your care. Of course! 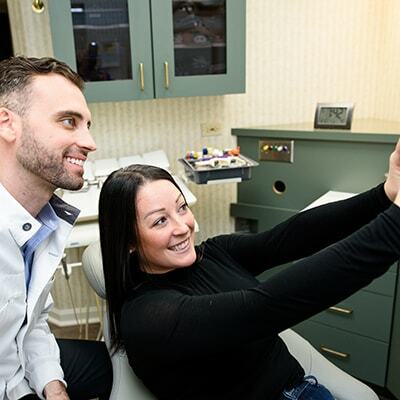 We love meeting new patients and look forward to welcoming you to our Schaumburg dental family. We’ll do our very best to get you here at your earliest convenience. Call us at 847-310-9090 and Kim will take great care of you. Give us a call! Kim will take great care of you.